On the 6th of February (KST), Beşiktaş announced that they’ve acquired jungler Yoon “SeongHwan” Seong-hwan. SeongHwan is a jungler that has been in Afreeca Freecs and ROX Tigers which later became Hanwha Life Esports. 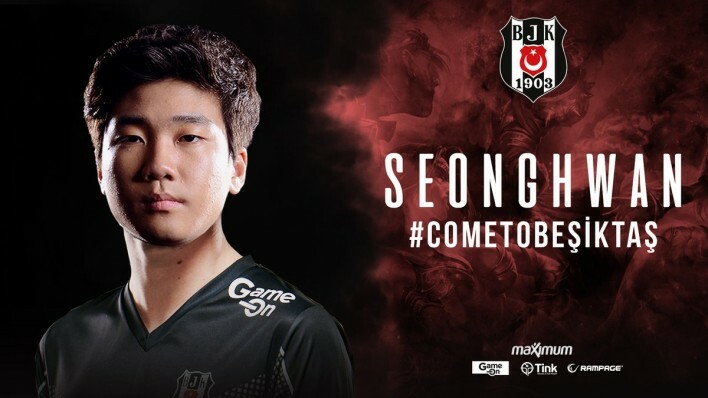 He hadn’t found a team to play in after his contract expired, but as of this announcement, he has joined Beşiktaş. SeongHwan will fight alongside Kim “Nagne” Sang-moon for the rest of the Winter Split. On leaving Korea, SeongHwan thanked the fans for watching his stream. He also assured his fans in Korea that he’ll return soon, just after Spring. “I’m worried a bit about my English at immigration. I’ll show good performance there and will appear at the MSI.” Said SeongHwan.